LMS Restoration services both commercial and residential properties. LMS is on call 24/7/365 to respond to your water damage emergencies. Contact us now for immediate response. LMS can bill your insurance directly. LMS Restoration utilizes the same estimating software and regional pricing that is used by most insurance companies. This allows your claim to be funded quicker, which means less time for the project to be completed and back to normal. 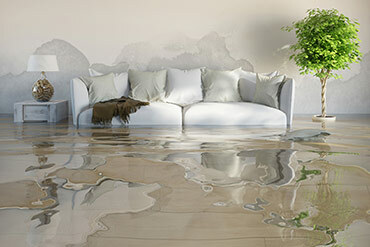 Water damage can result from local flooding, but it can also happen because of leaks, plumbing failures and even human error. No matter what the cause, quick action is essential to minimize damage to your home and personal property. With trained technicians ready to respond 24/7 and access to the most advanced equipment, LMS has what it takes to handle any water damage problem. We can help homes and businesses recover from a flood or other water emergency. Don’t put inexperienced contractors in a situation where they may not be safe or successful. start-to-finish water damage restoration. 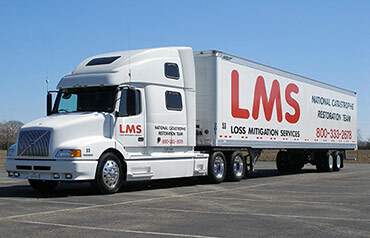 LMS Restoration's large loss division is prepared to handle any disaster situation that comes your way. We are equipped to service large losses nationwide due to the power of our network as well as our commercial equipment. Contact us for FREE consultation. The LMS Emergency Response Plan (ERP) is an ideal supplement to any well-designed emergency preparedness program. Rather than simply reacting to disaster situations, most risk managers prefer taking proactive measures to establish a relationship with an emergency services company. By enrolling in the LMS Emergency Response Plan, your business will receive the benefit of years of experience in reducing the impact of any natural or man made disaster. Learn More about the LMS Emergency Response Plan. 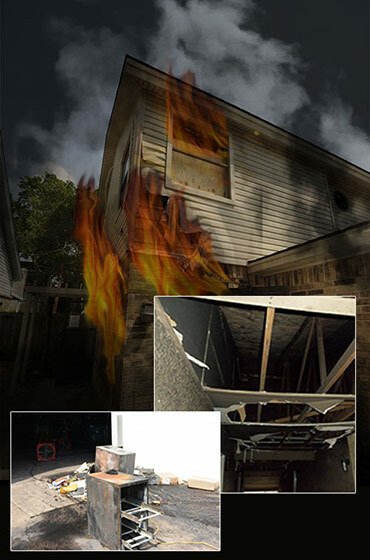 LMS Restoration is a full service fire and smoke damage restoration company based in Paris, TX. Our service area in Texas includes: Paris, Denison, Bonham, Sherman, Greenville, Sulphur Springs, Mt. Pleasant, Clarksville and surrounding areas. Our Oklahoma coverage area includes: Durant, Atoka, Antlers, Broken Bow, Idabel, Hugo, Rattan and surrounding areas. Contact us if you are having fire damage issues within these areas. Smoke Damage can SEEM like the worst thing that can happen to you... but actually hiring the wrong company to assist you could quickly turn a bad situation much worse. Make sure that when selecting a contractor to help you with your claim, you hire a qualified specialist. 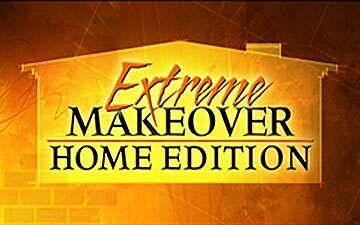 General Contractors are great if you need a new addition built onto your home, or you plan to build a new home from the ground up; but a Restoration Contractor is what you need to help you navigate the winding road leading you back to your life as it was before the fire. 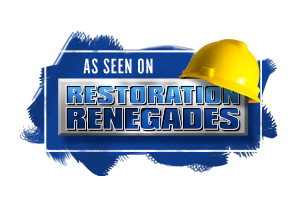 If handled properly, many structural items and personal property items can be restored back to their original condition-with NO RESIDUAL SMOKE ODOR! It is a common misconception that once your home, furniture, clothing or other personal property is subjected to smoke, the smoke odor cannot be removed-this is simply not true. This falsehood has been perpetuated for years by untrained “contractors” who have not been properly trained in the specialized field of smoke odor removal and fire restoration! Our ongoing commitment is to earn the loyalty of our customers by providing superior service, building strong relationships, and offering quality workmanship, creative solutions, and lasting value. Since 1997, CEO Don Preston has kept LMS on the cutting edge of our industry. 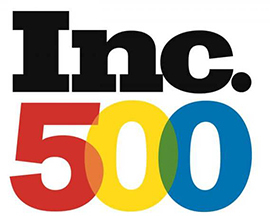 LMS Restoration holds the distinction of being the largest Native American owned restoration company in the United States and in 2002, made the INC 500 list as one of the fastest growing privately owned companies in the US. As a Native American owned company, LMS is pre-qualified for ‘Indian Preference’ status. 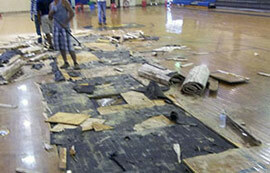 LMS Restoration is well-known for water damage and fire damage restoration services. However, we also offer other home improvement services that are related to our core business. We offer the following services in Northern Texas and Southern Oklahoma. Don't Delay, Contact LMS today! Please fill out the contact form below if you would like a quote or have a question or comment. LMS Restoration will promptly follow up with you. There is no obligation and your information is kept strictly private. Form submissions are received and reviewed during office hours, Monday through Friday, 8:00am to 5:00pm.